You would imagine that as that final school bell rings, teachers would be running for the door alongside their students. However, teachers remained hard at work. Some teachers stayed behind to organize and wrap things up in their classrooms and schools, others enrolled in the Poudre School District Summer Institute. Summer Institute is a way for Integrated Services educators to improve, build upon and strengthen their instructional practices for students with disabilities. They worked together, to problem solve or create plans for student’s areas of growth. In addition, it is a way for educators to earn credits which further their career path. This model originated with Mill Levy funds to allow staff in all curricular areas to have an opportunity to work together. The goal is to work on pieces that can be shared across grade levels and buildings and used in collaboration with other teams as well as general education. Assistive Technology for students with extensive needs. Aligning IEP goals to Colorado Essential Skills. Alignment of Speech- Language Intervention with General Education Curriculum. MCAT Intervention Guides for Speech-Language Pathologists. Summer Institute courses offered teachers and other support staff input, into different areas of special education in Poudre School District in addition to learning new skills and strategies. Once Summer Institute concluded, there would be tangible products which will be shared with all in the Fall. Here are a few examples of summer institute 2015 courses. The assistive technology course for students with extensive needs, enabled participants to learn how to use Board Maker, Pics Writer and Sym Writer. These software programs offer symbols, pictures and words tobe printed or added to devices by teaching staff, to assist in communication. The intent came about as staff desired time to create more extensive and interactive lesson plans, to use as resources in supporting grade level curricular areas. The technology allows for content ranged from simple words to complex sentences. Poudre School District occupational therapists Trisha Atherly and Elizabeth Crawford and speech and language pathologist Anne Scott, created a course to teach educators how the technology can be used. Participants spent time learning about these programs, then were given the opportunity to work using them. They created assignments as well as boards to use in their own classrooms. They then had the chance to share what they had created with their peers and dialogue about their products. Integrated Services Behavior toolkit was designed to discuss and create a wide range of resource materials related to supporting behaviors in the classroom. These materials will aid special education and general education instructors as resources. 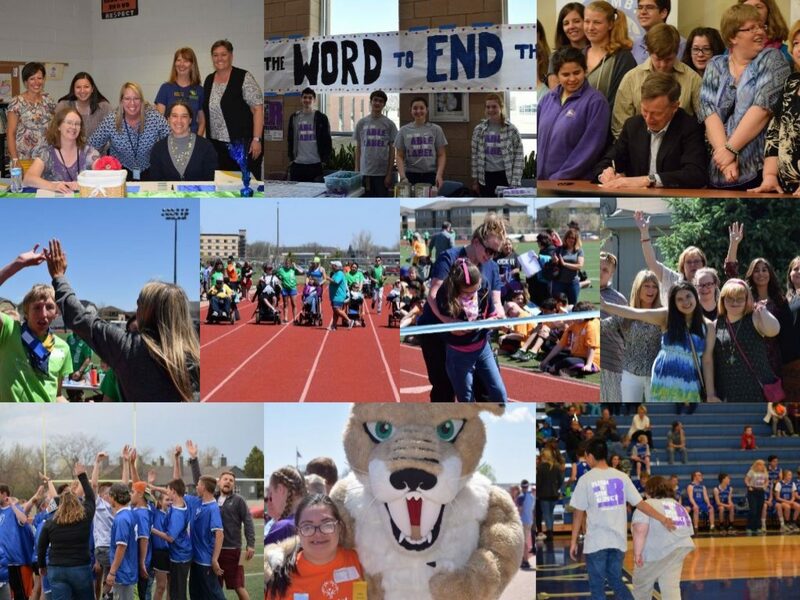 Poudre School District Integrated Services is committed to understanding behaviors students may exhibit as well as the function they serve, and offering resources so that educators are empowered to support all students. During the two week session, guest speakers were brought in to offer their expertise and help the group think through everything from working together effectively, understanding functions of behavior, data collection to then compile material on a google website in a way all teachers will be able to access. In every district there is a group of support staff called classified employees. These amazing employees consist of paraprofessionals as well as administrative staff. This is a group whom has hands on experience with students throughout the school year. The Integrated Services Classified Academy are classes that exist to prepare classified staff for their various positions and continue their education. There are a list of learning plans that are required as part of their job. The Classified Academy Think Tank that was offered for Summer Institute created a space for classified staff to have input into what the academy includes and give input on courses to offer that would best support the work they do with students. Transition Curriculum Development comprised of a group who work directly with older students (18-21) before and during transition programs. This is a group who are passionate about the future of students beyond Poudre School District. Their objective as educators, is to prepare students for their future to be successful with employment and independent living. The plan for the summer course was to brainstorm a way to streamline information about every student in a way that current and future support staff will all be on the same page. The desire is that education plans be done in a way that students are active participants. They developed a folder system that would follow the student through each IEP meeting and transitioning grades. They are also in the process of creating transition material for families. All information would be in one place so that nothing slips through the cracks. Their effort is to promote transition talks early to take away some of the fear that goes along with entering adulthood. The SED professional development proposal is a project directed by Aaron Vogt. The course consisted of people who work in programs for students with significant behaviors. The course was designed to put together a proposal to submit to Integrated Service director, Sarah Belleau. The proposal lays out a plan, including cost and format for a team, designated to work on professional development for all staff. It will be geared towards helping students who exhibit more intense behaviors. The team comprised of a group that has also been part of a PLC (Professional Learning Community). The PLC was a committee, compiled after an independent evaluation had been conducted. This is another way PSD Integrated Services is constantly striving for checks and balances to keep improving. This is just a glimpse into the hard work our dedicated staff continues once the final school bells rings.